The gallery also plays host to a number of receptions for clients who wish to use the beautiful surroundings to showcase products or projects of their own, recognising the appeal of entertaining against such a stunning background. 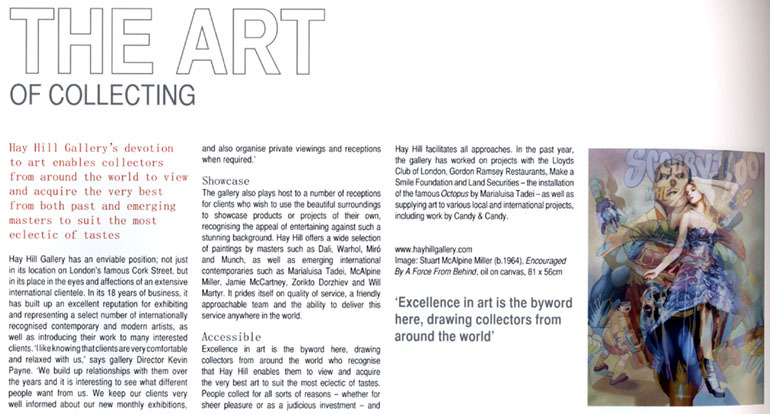 Hay Hill offers a wide selection of paintings by masters such as Dalí, Warhol, Miró and Munch, as well as emerging international contemporaries such as Marialuisa Tadei, McAlpine Miller, Jamie McCartney, Zorikto Dorzhiev and Will Martyr. It prides itself on quality of service, a friendly approachable team and the ability to deliver this service anywhere in the world. 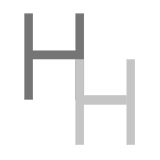 Excellence in art is the byword here, drawing collectors from around the world who recognise that Hay Hill enables them to view and acquire the very best art to suit the most eclectic of tastes. People collect for all sorts of reasons - whether for sheer pleasure or as a judicious investment - and Hay Hill facilitates all approaches. In the past year, the gallery has worked on projects with the Lloyds Club of London, Gordon Ramsey Restaurants, Make a Smile Foundation and Land Securities - the installation of the famous Octopus by Marialuisa Tadei - as well as supplying art to various local and international projects, including work by Candy & Candy.